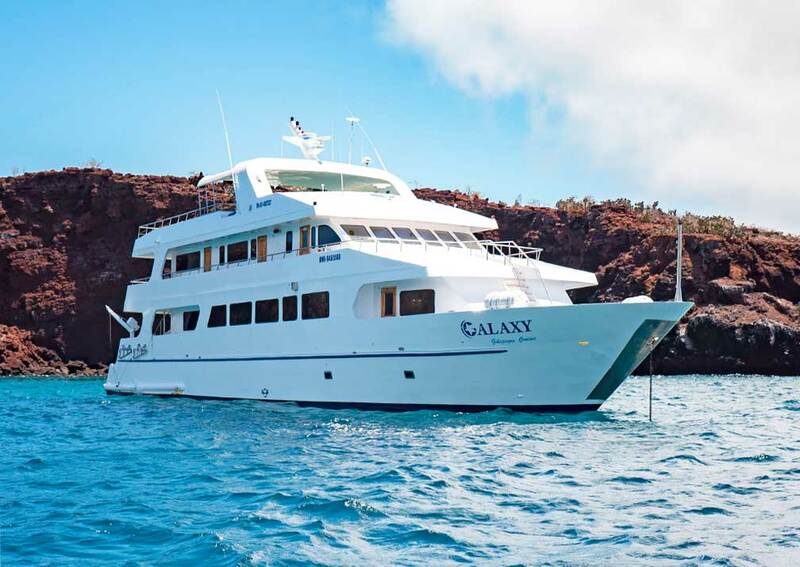 Galaxy is a 16-passenger motor yacht with lovely polished wood interiors, comfortable accommodation and a large sundeck. 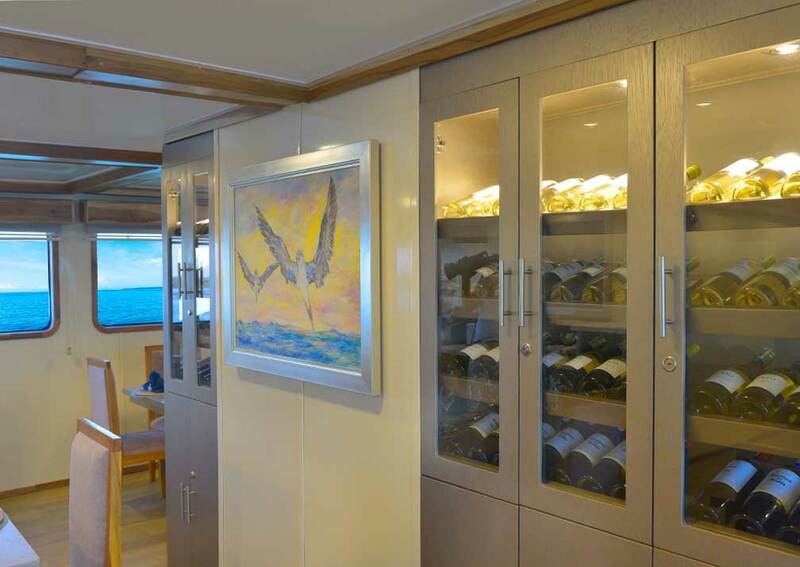 The atmosphere on board is friendly and relaxed. 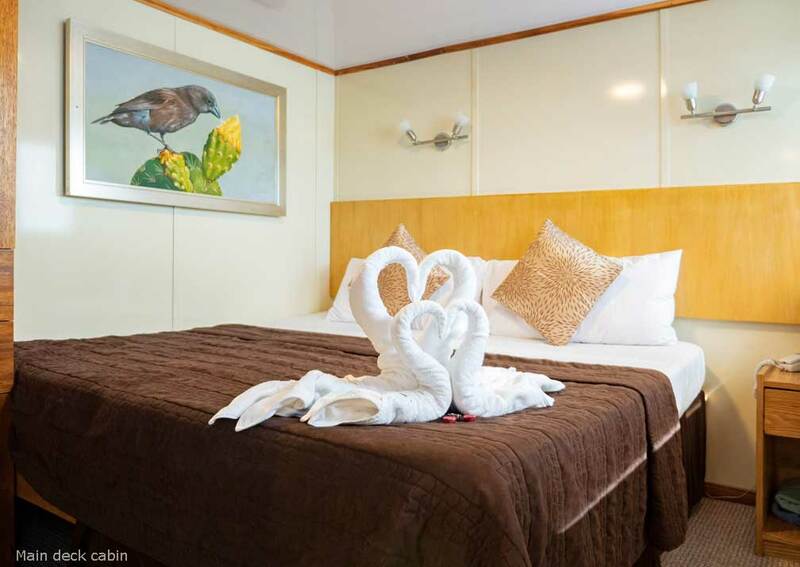 Cabins are situated on three decks, the lower, main and upper. 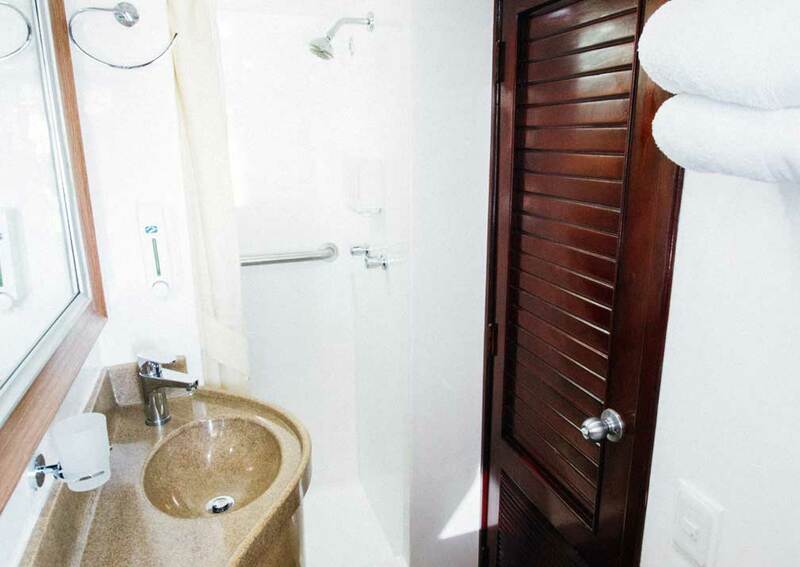 All have windows, air conditioning and private bathrooms with hot running water, making them very comfortable. 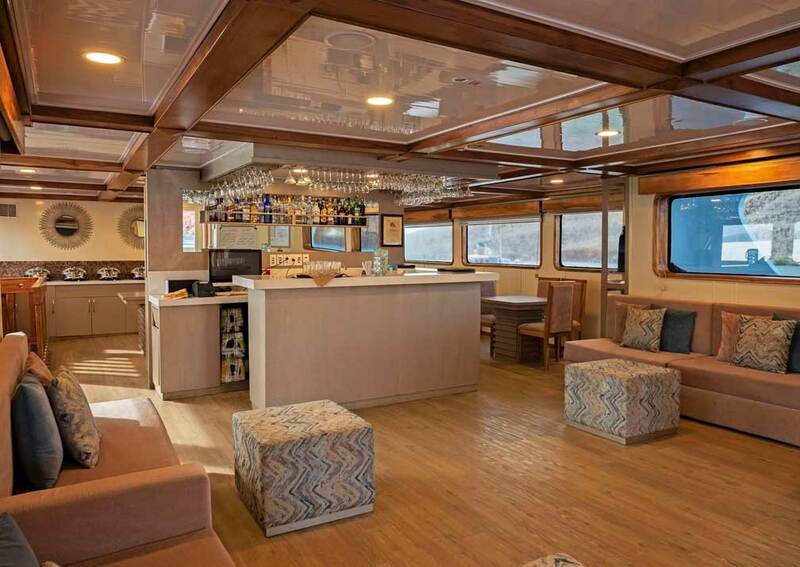 You’ll mix with other passengers in the main deck”s social areas which include the lounge, dining room and bar. There is a coffee station where you can get refreshments throughout the day and a library if you want to brush up your natural history knowledge, plus a range of board games to help you pass the time. 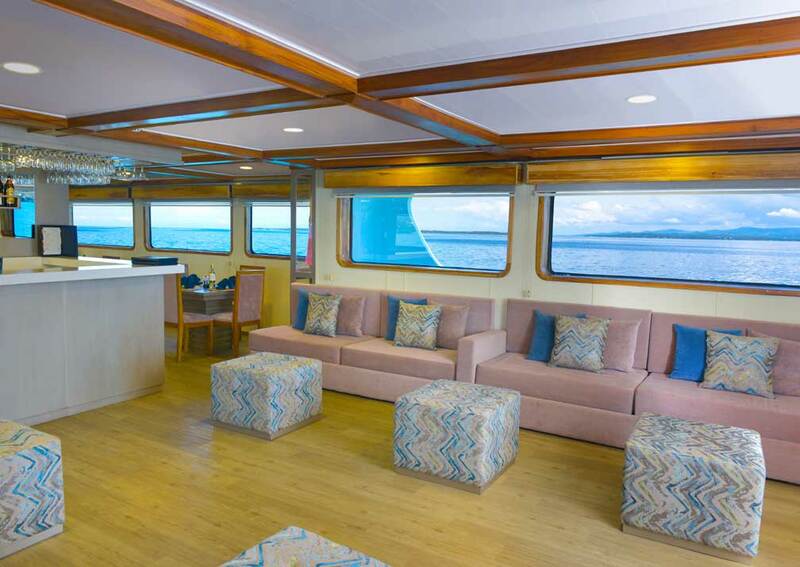 There’s an attractive sun deck, just the place to relax between visits ashore, cocktail in hand, as you take in panoramic views of the ocean and islands, maybe catching a glimpse of passing dolphins. 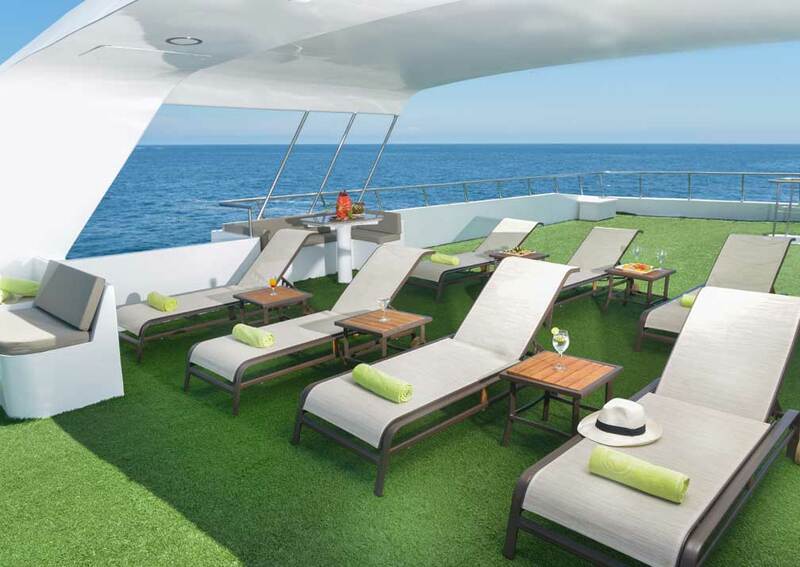 There’s a separate outdoor seating area on the upper deck, too. 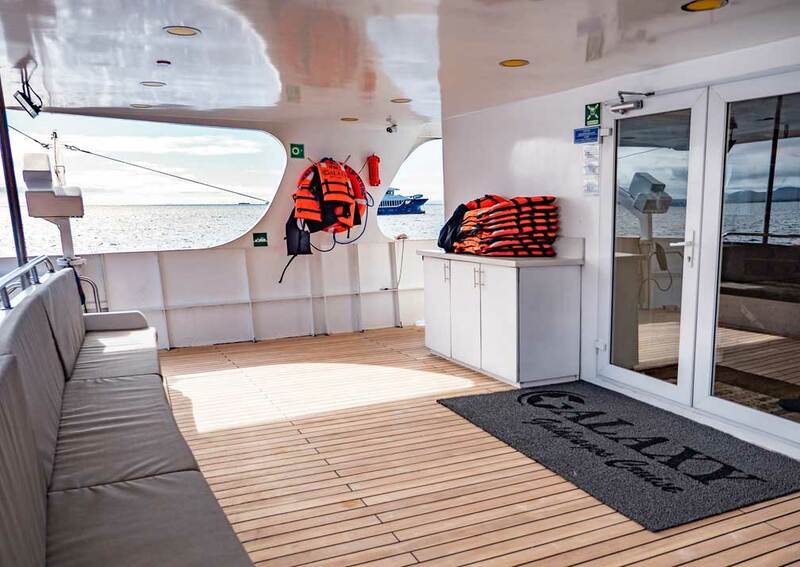 There are 3 cabins (no.s 7, 8 & 9) on the upper deck, each with twin beds that can be converted to a double, window, air conditioning, safe, phone for internal communication, hairdryer and private shower room with hot and cold running water. 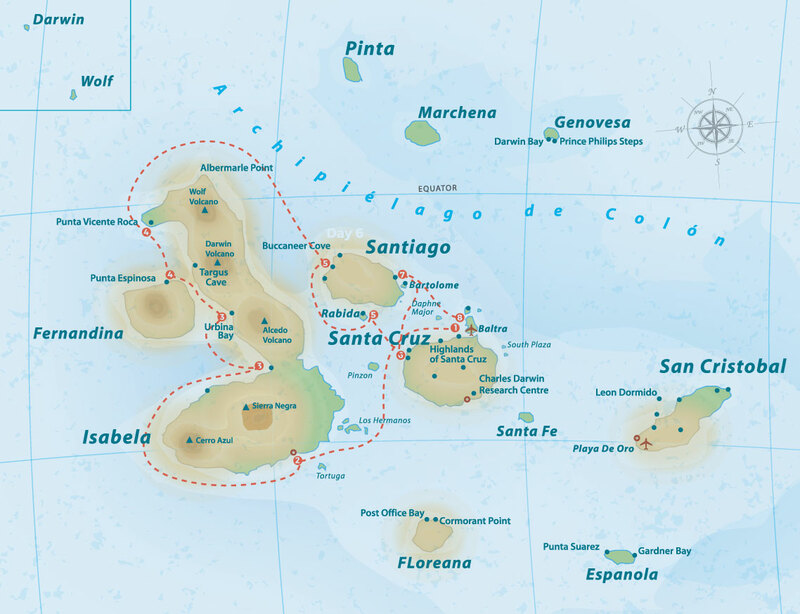 They are 11.2 square metres. 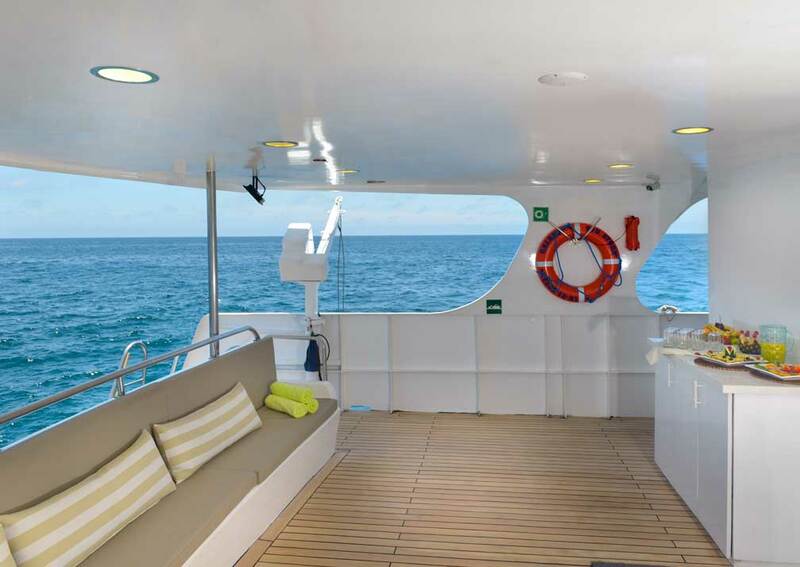 There are 3 cabins (no.s 4, 5 & 6) on the main deck, of 8.24 square metres. 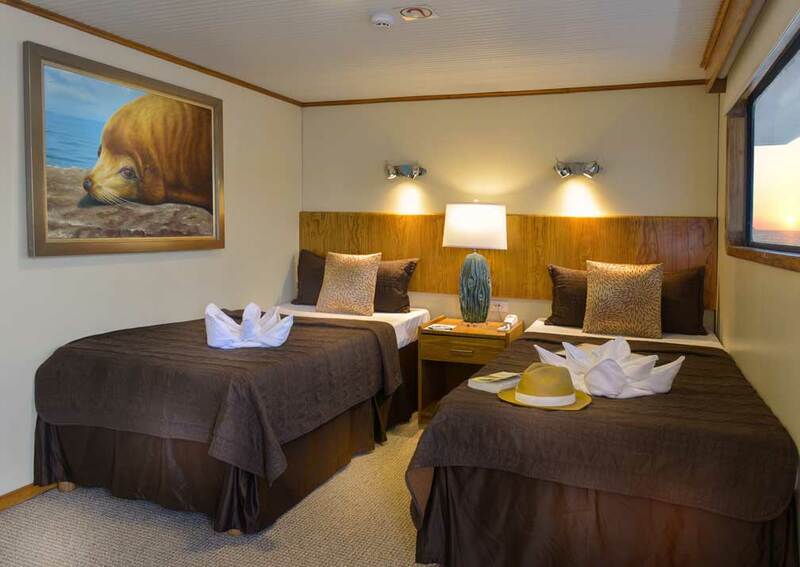 Cabins 5 and 6 are twin bedded, and 4 can be a twin or double. 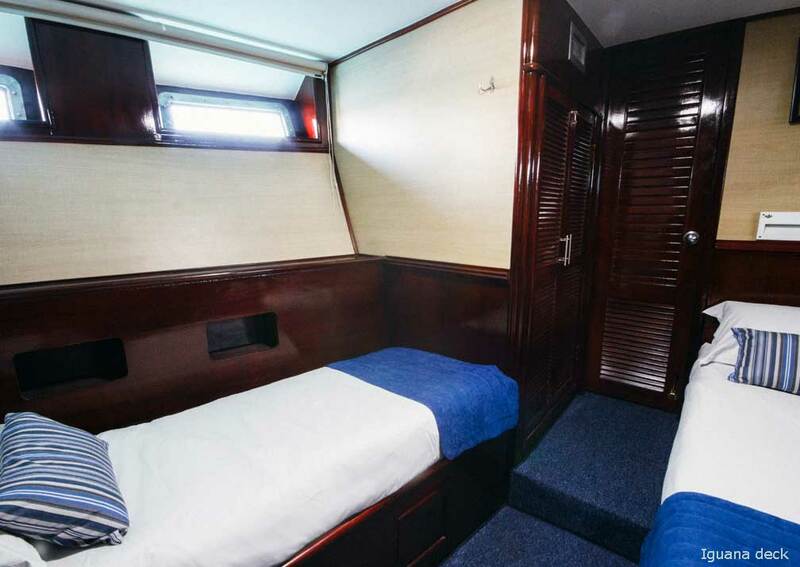 All have windows, air conditioning, safe, phone for on board communication, hairdryer and private shower room with full running water. 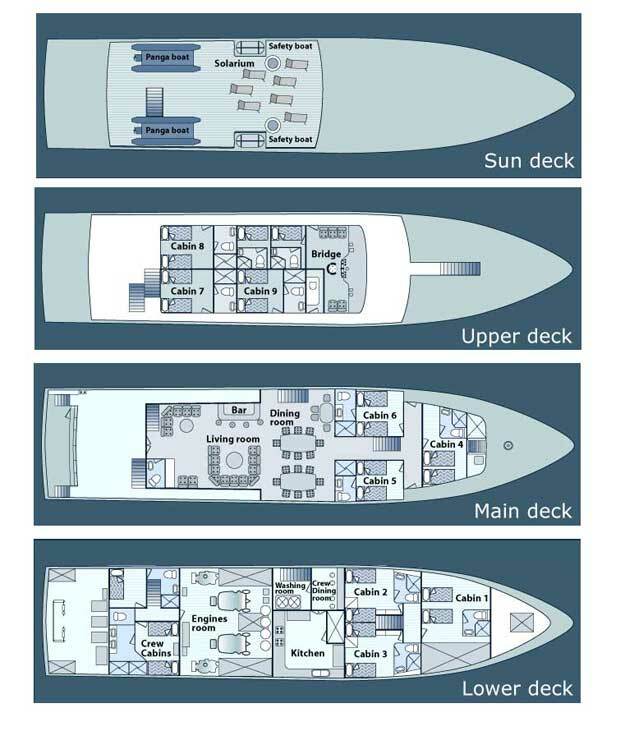 There are 3 cabins (no.s 1, 2 & 3) on the lower deck, of 9.9 square metres, all with portholes. 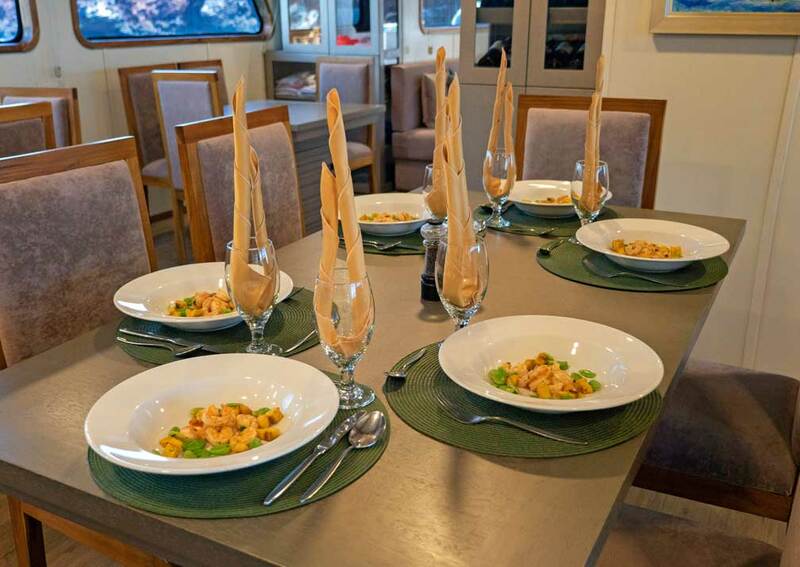 Cabin 1 can be a twin or double, and 2 and 3 are twins. 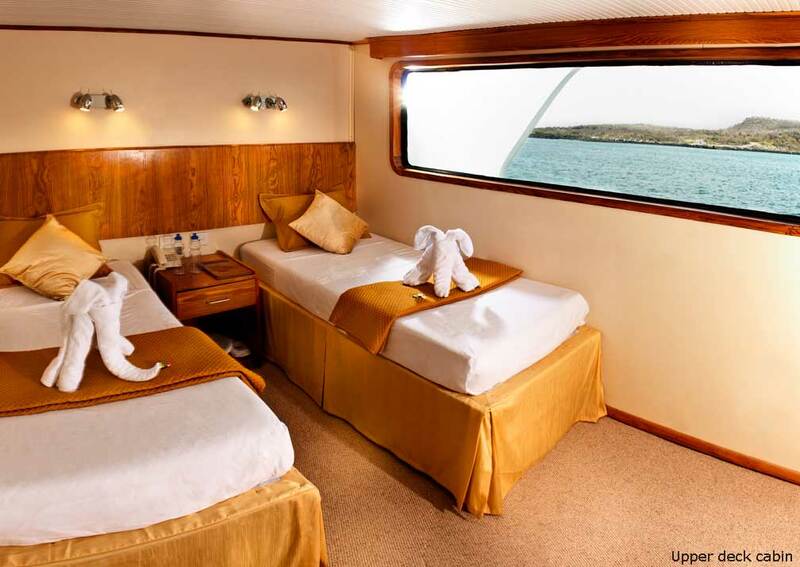 All are air conditioned, have safe, phone for internal communication, hairdryer and private shower room with hot and cold running water. 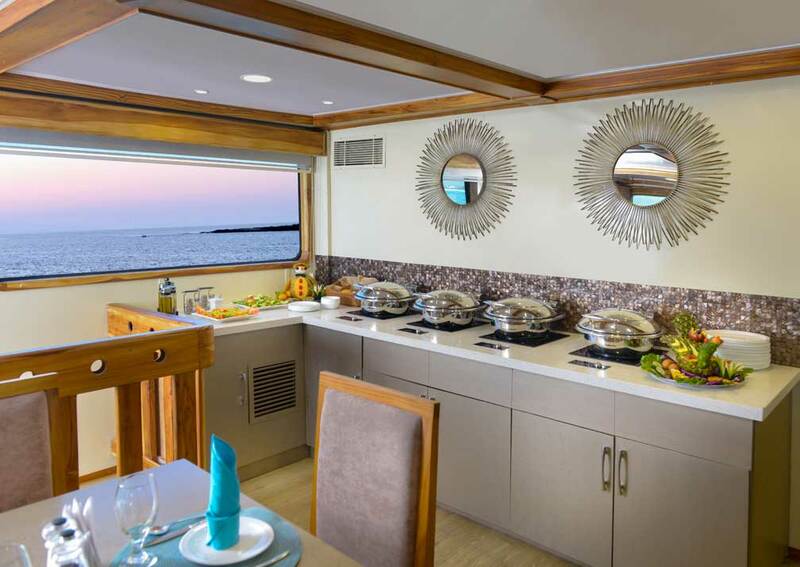 On Board: Dining room, bar, library and lounge with TV and DVD player are on the main deck, there is outdoor seating on the upper deck and sun loungers on the sun deck. 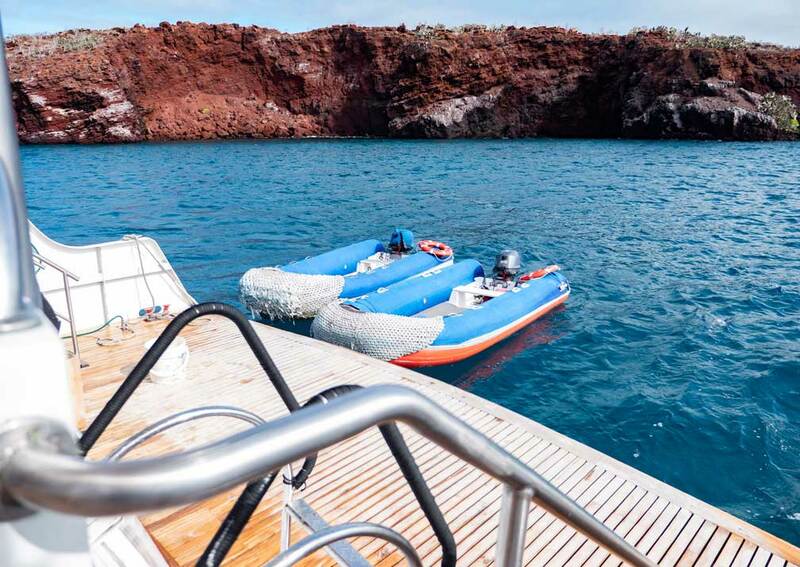 Galaxy carries snorkelling gear.